Mix cucumbers, onions, peppers and salt in one bowl and set aside. Put vinegar, sugar, celery seed and mustard seed in a cooking pot and bring to a boil. Remove from heat and let cool for one hour before pouring over cucumber mixture. Pour mixture over vegetables. 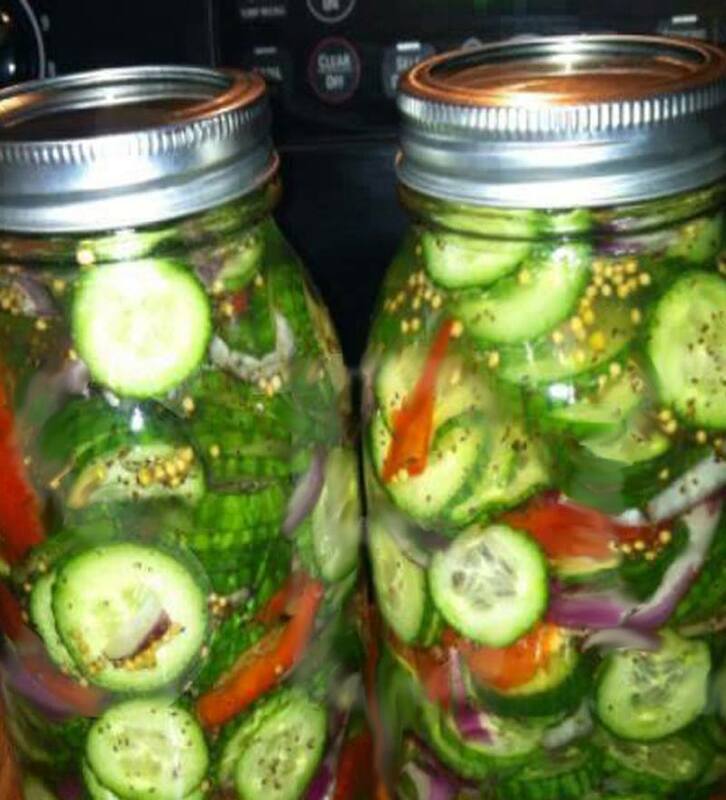 Put in jars and store in refrigerator. Will keep up to 2 months. Makes 2 quart jars.